As a firm, we are constantly looking for ways we can improve the service we offer our clients. 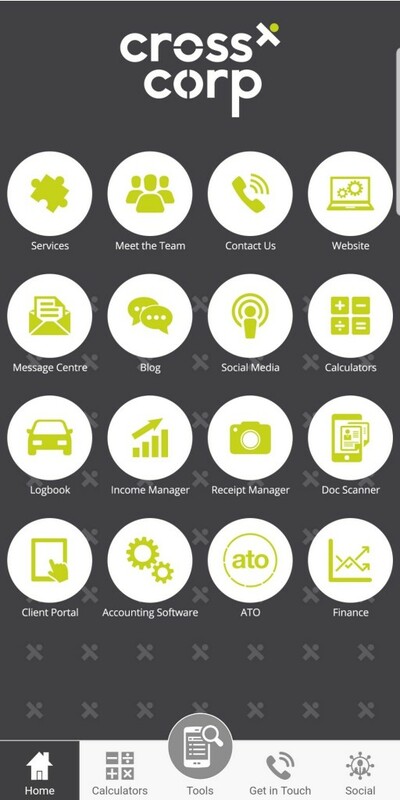 We are proud to announce the launch of our brand new CrossCorp Business Advisors MyAccountants App. It’s completely free of charge and it is available for iPhone, iPad and Android devices. Download the MyAccountants App for iPhone, iPad and Android devices. Is capturing your business mileage a chore? The App can take this pain away too. Mileage / Logbook Tracker will record your mileage at the press of a button. 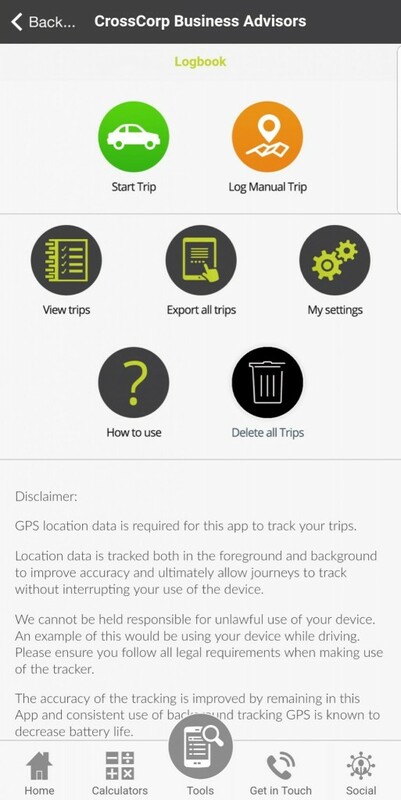 Simply ‘tap’ on the start button and the App starts tracking your journey, even when it is minimised. Once you have finished your journey hit stop, give it a name and you’re done. If you forget to track the journey at the time, don’t worry – you can manually add the journey later so all your journey details are in one place. You also have the ability to export mileage at any time with the click of a button. 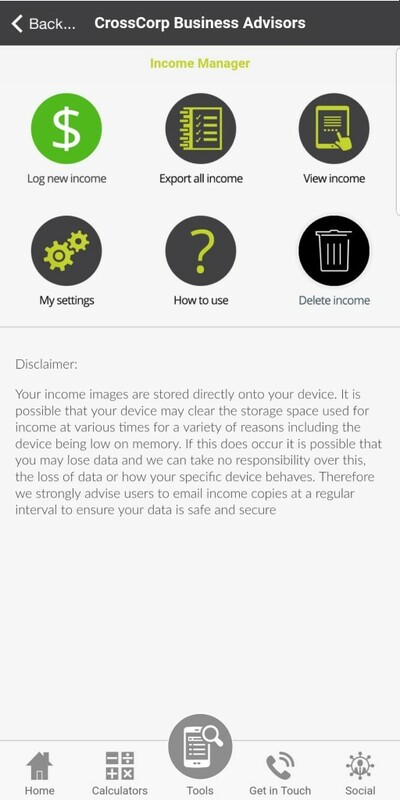 This will make capturing your business mileage an easy task. 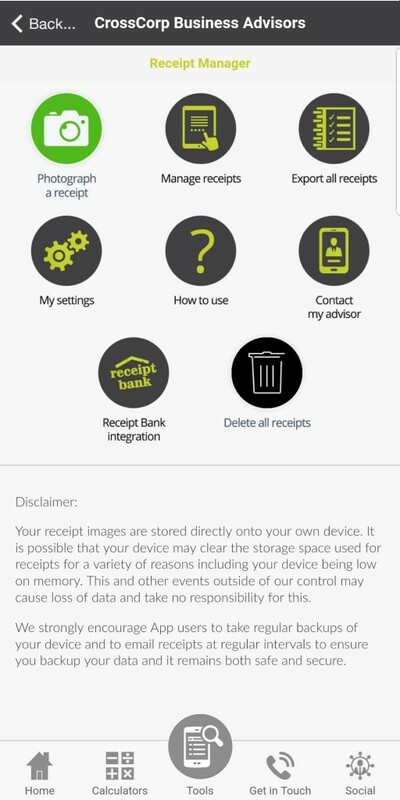 Say goodbye to paper receipts, our App allows you to photograph your originals, quickly categorise them and export them in a spreadsheet format, ready to send to us whenever suits you. 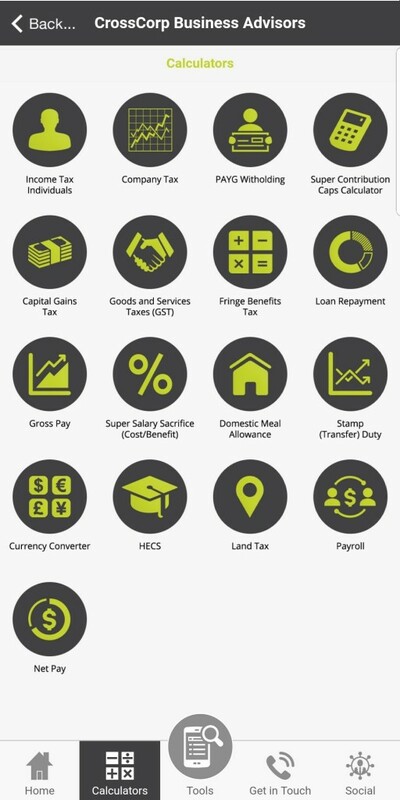 We have also packed the App with super useful calculators to help you make informed decisions such as calculating Tax for Individuals & Company, PAYG Withholding, Super Contribution Caps, Fringe Benefit Tax, loan payments, mortgage payments, and currency conversions.